Coastal Profs: A teaching manual. The Coastal Profs project was an initiative of four universities in India, Vietnam, The Netherlands and Portugal with the goal to develop curricula to support Masters-level courses on Integrated Coastal Zone Management. 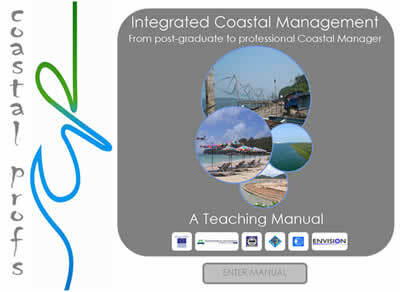 The result of this project is a teaching manual on Integrated Coastal Management. For more information concerning the manual, visit the Coastal Profs webpage. The manual is now available online . For questions, contact the project coordinator Maarten Bavinck.